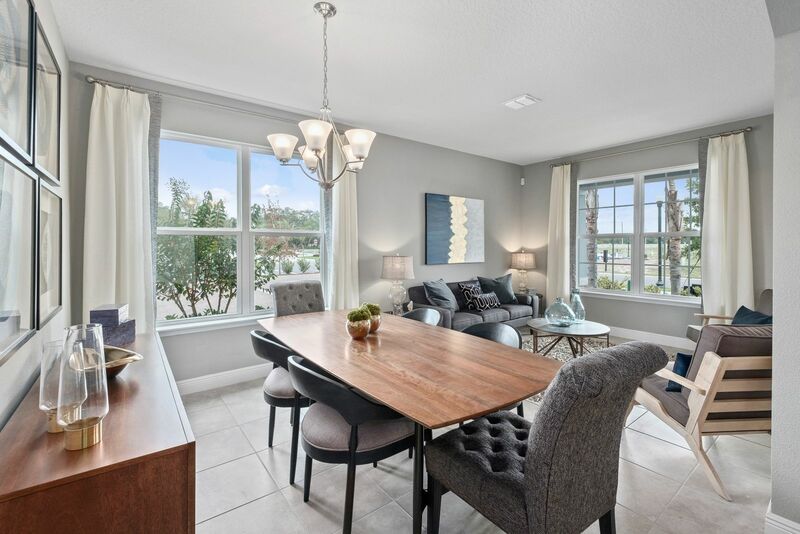 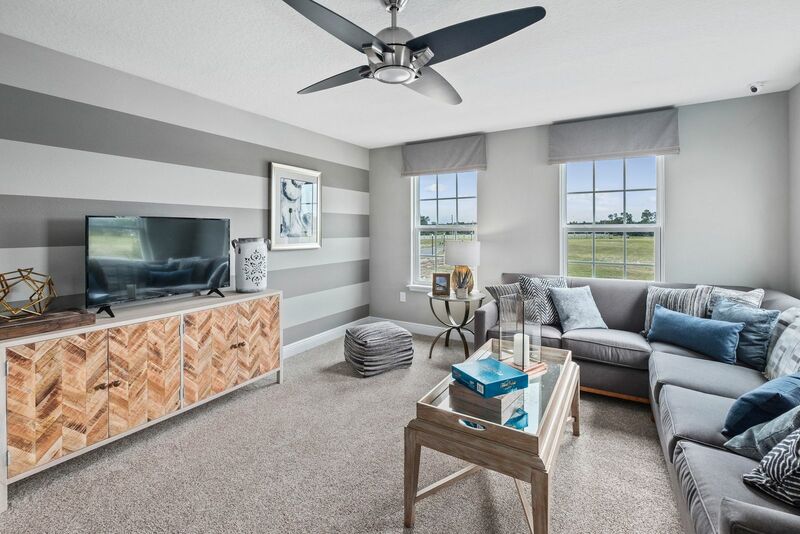 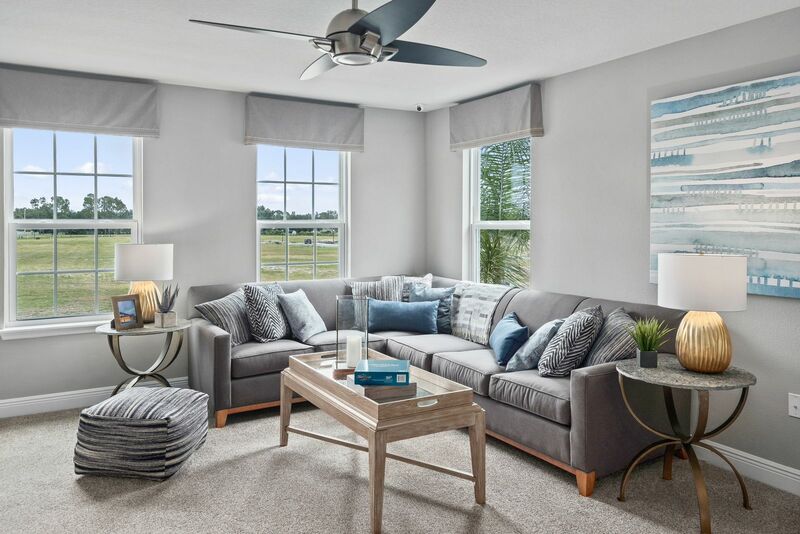 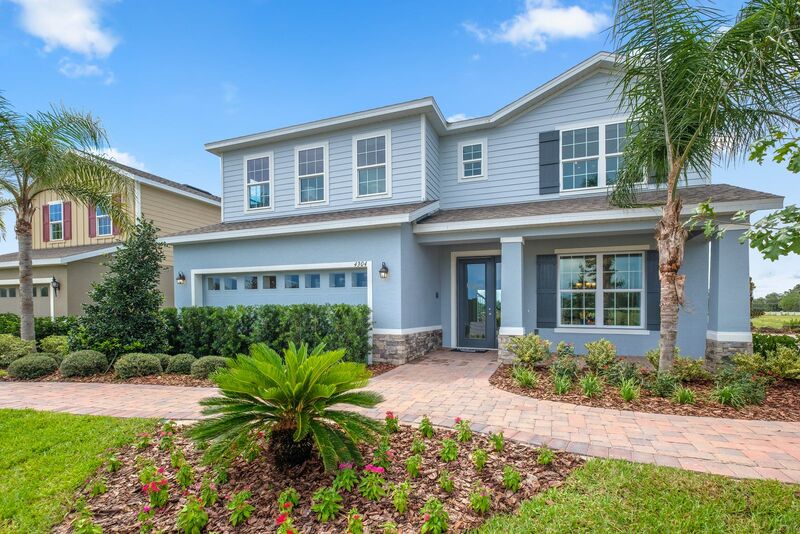 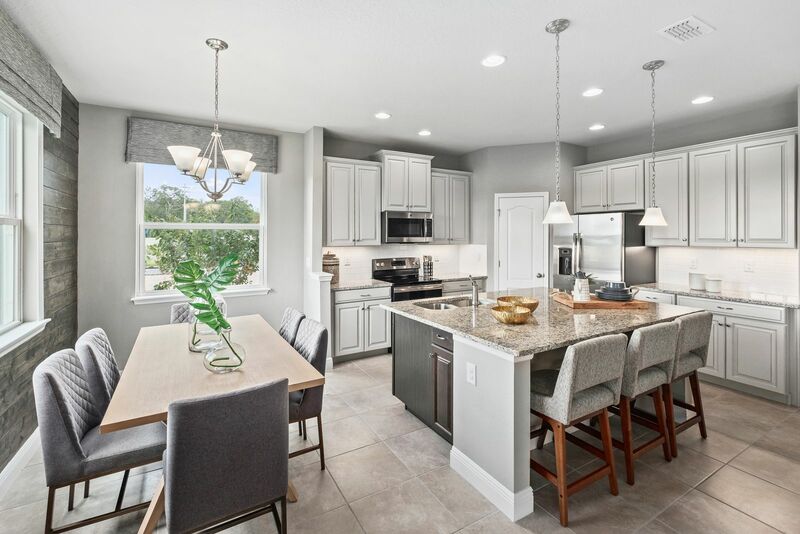 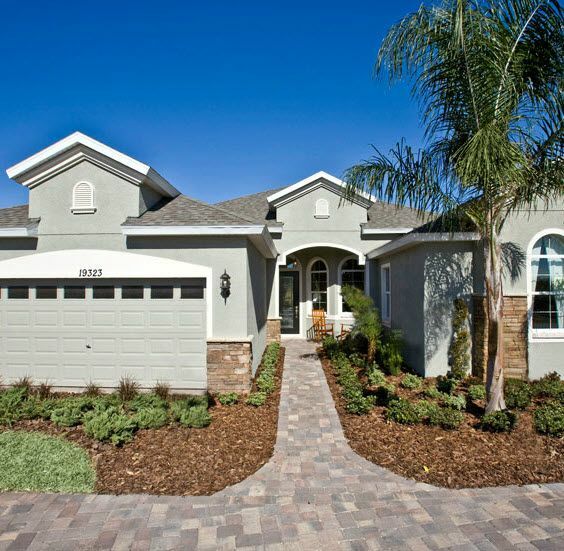 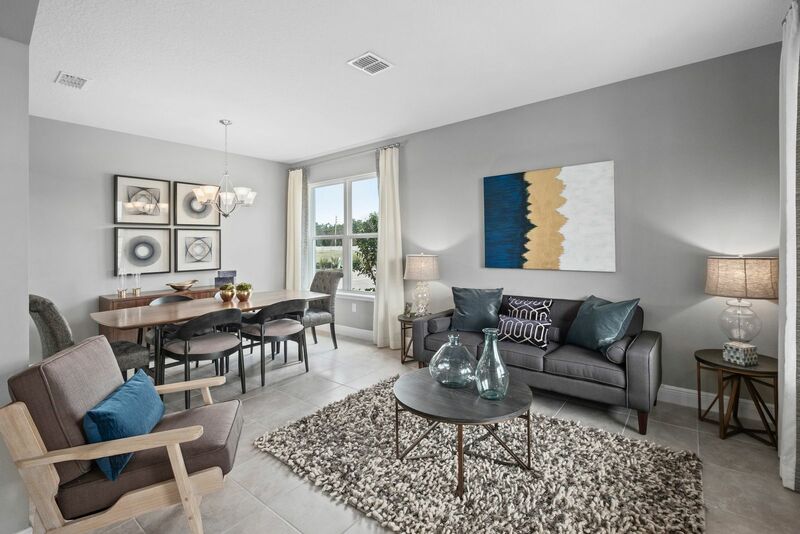 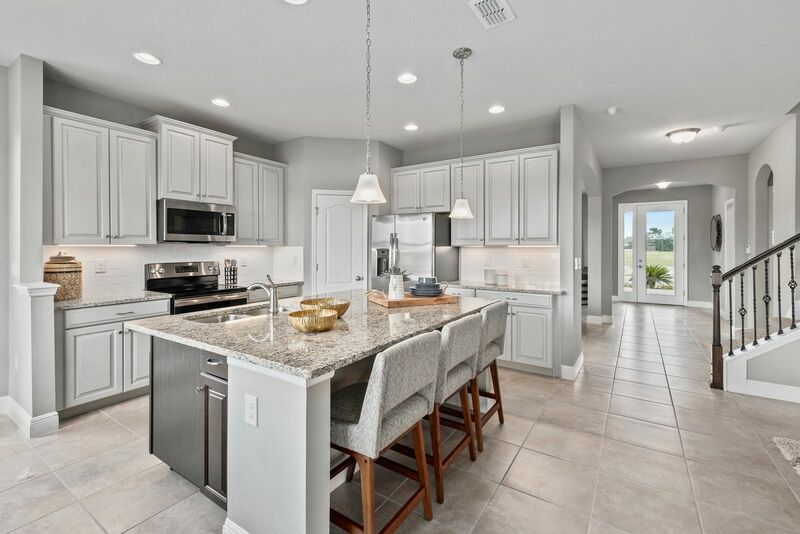 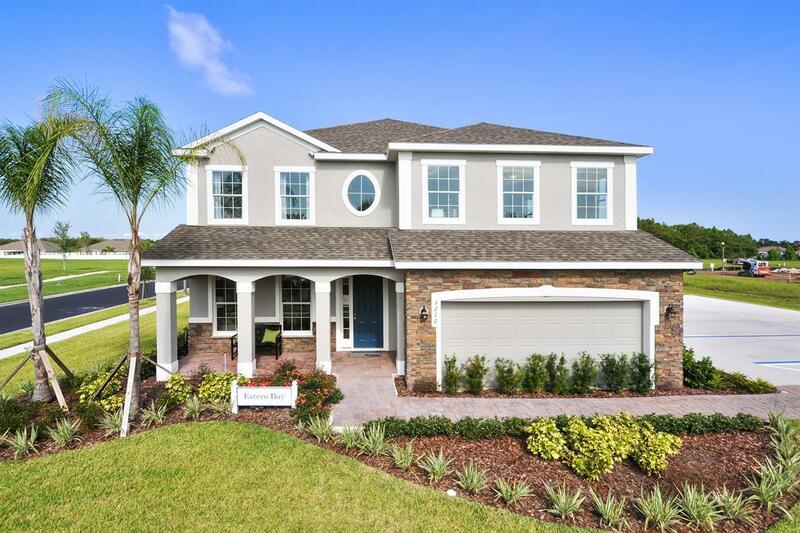 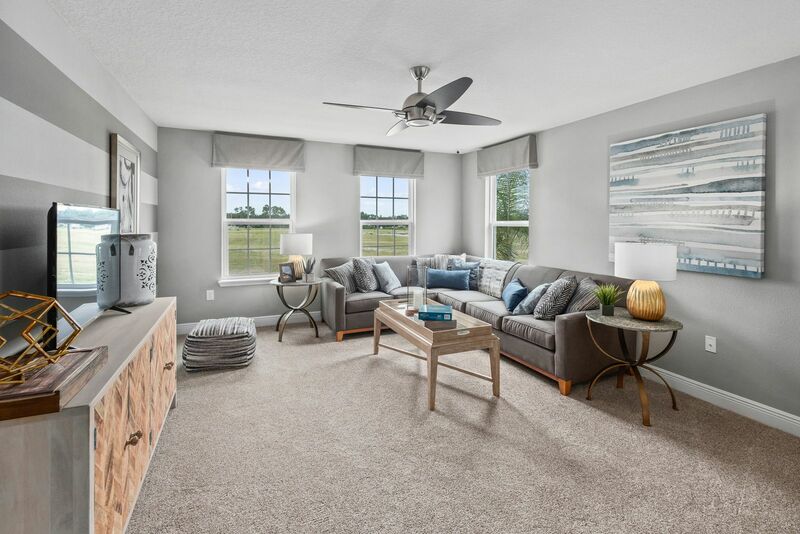 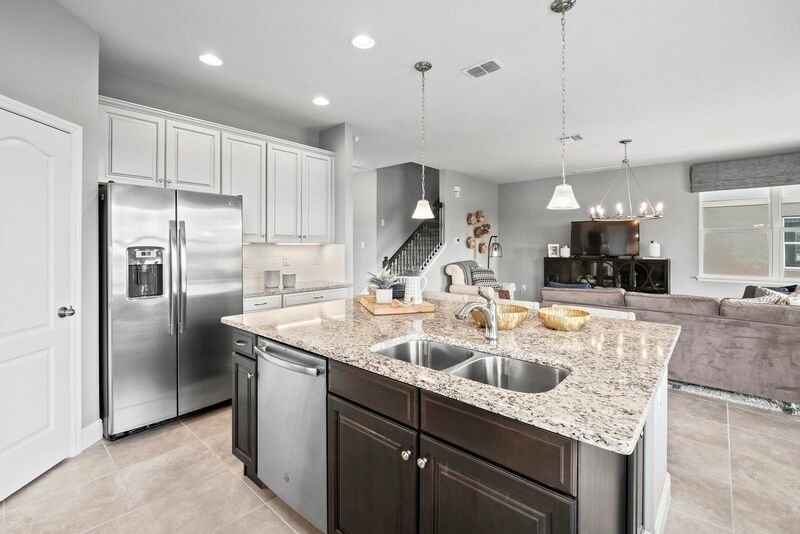 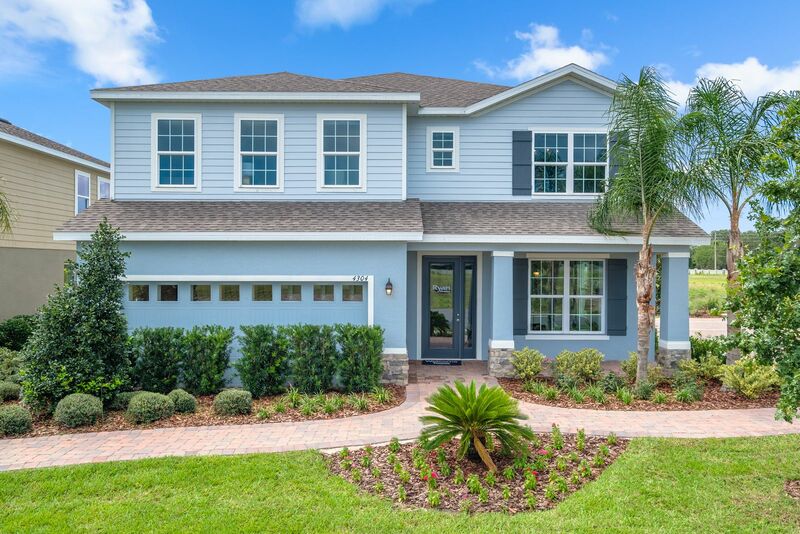 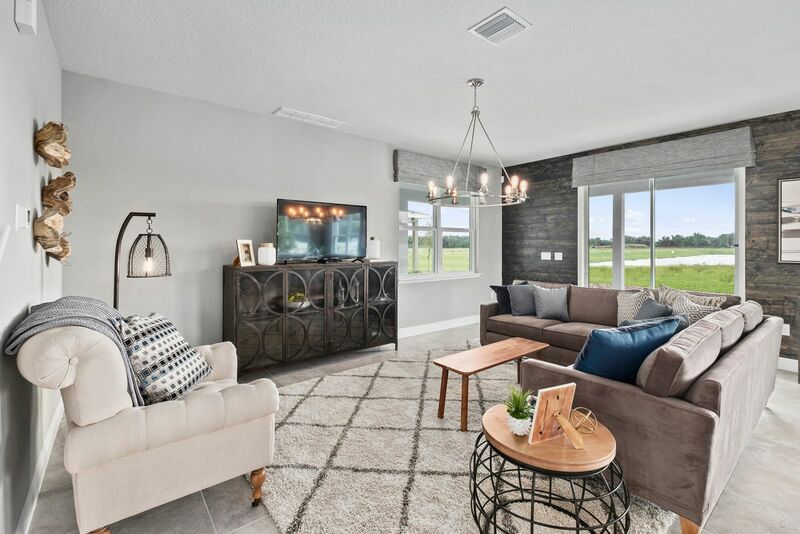 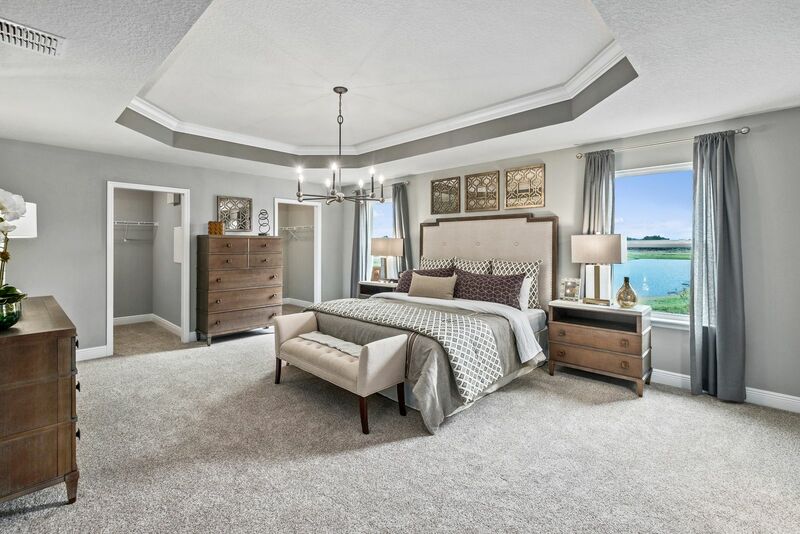 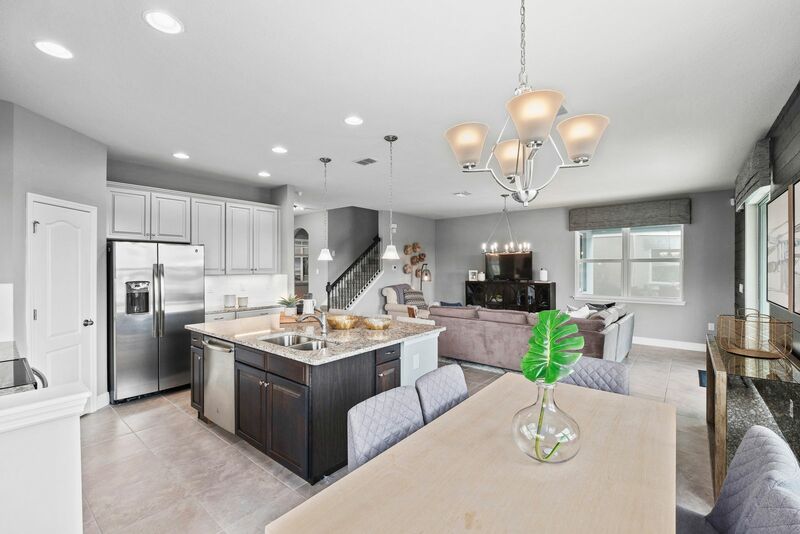 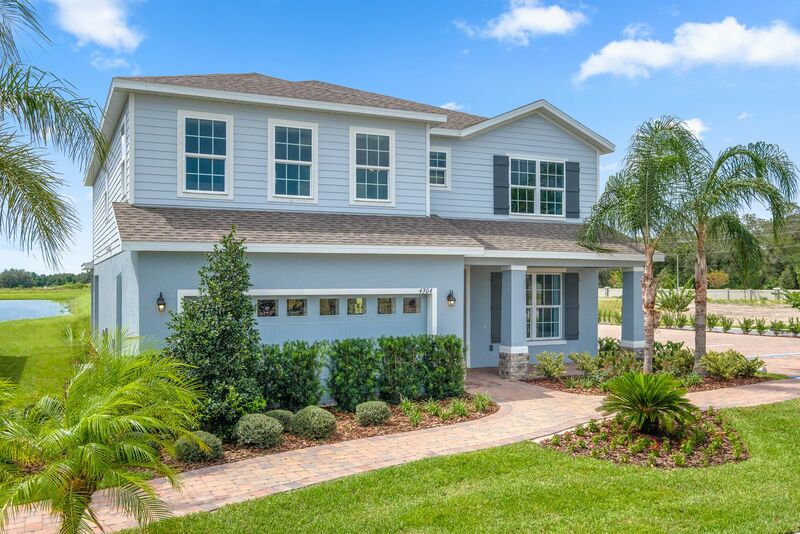 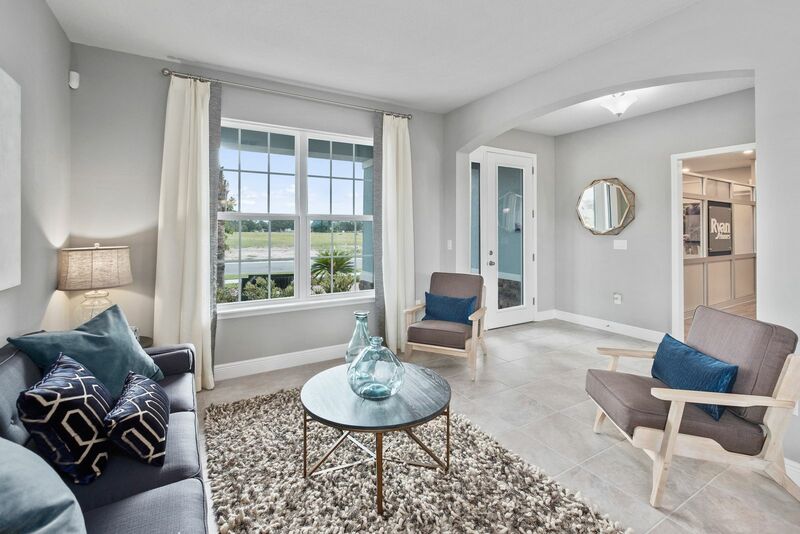 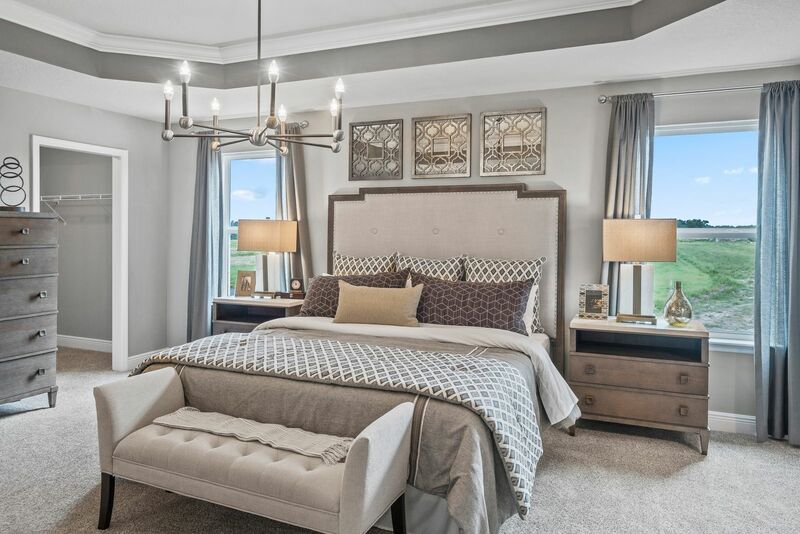 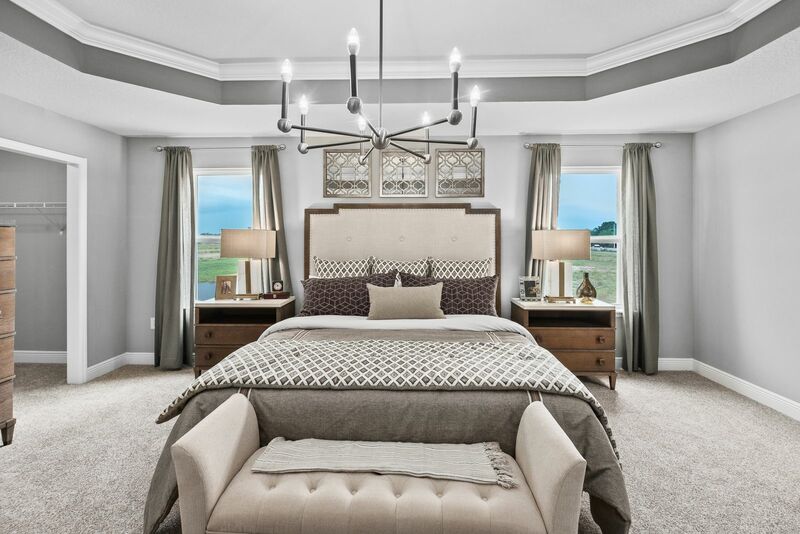 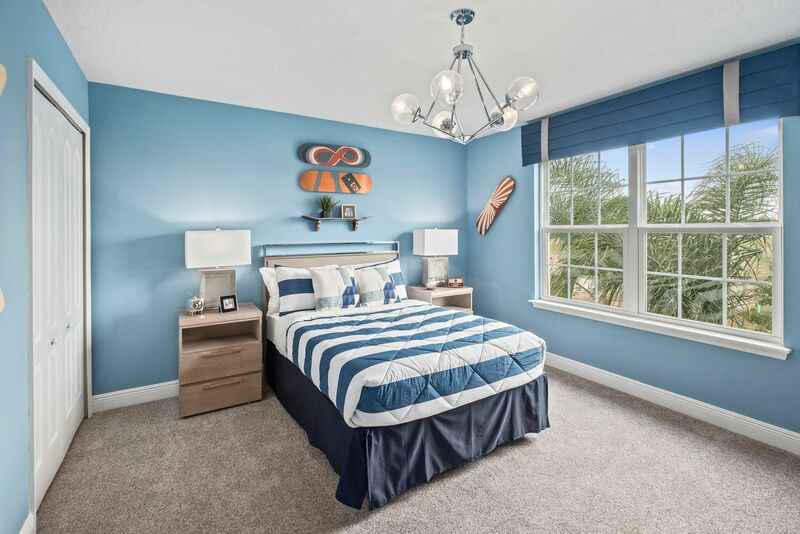 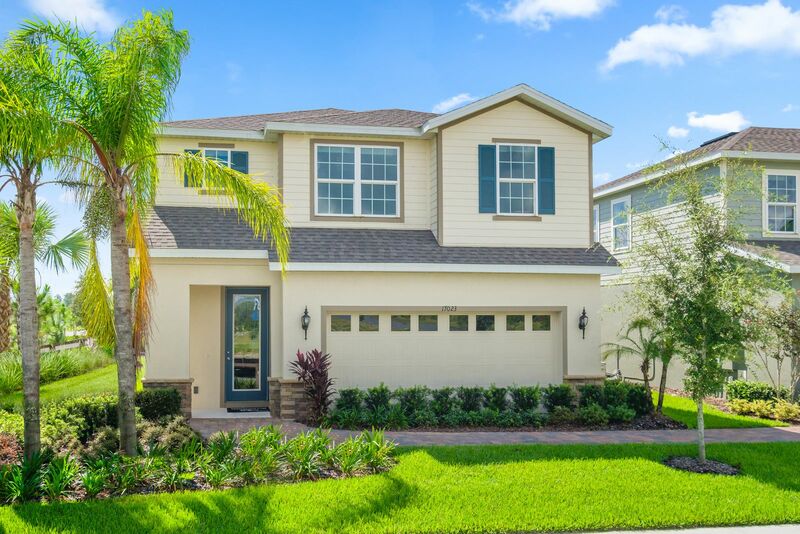 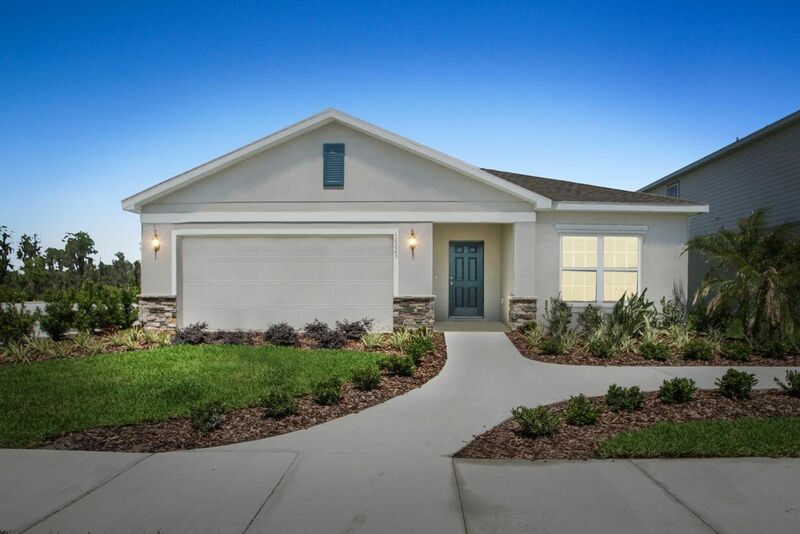 Welcome home to the Estero Bay, where the amenities you need meet the style you desire.. 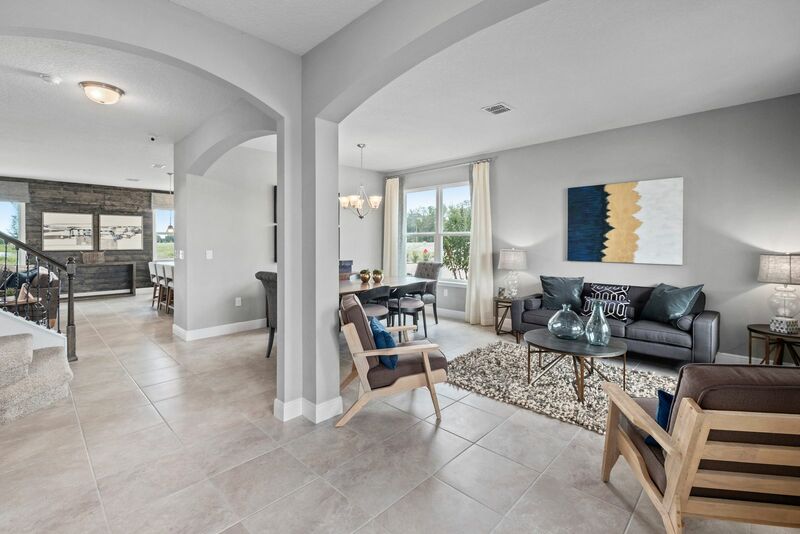 The entrance foyer is accented by a graceful arch welcoming you into the home. 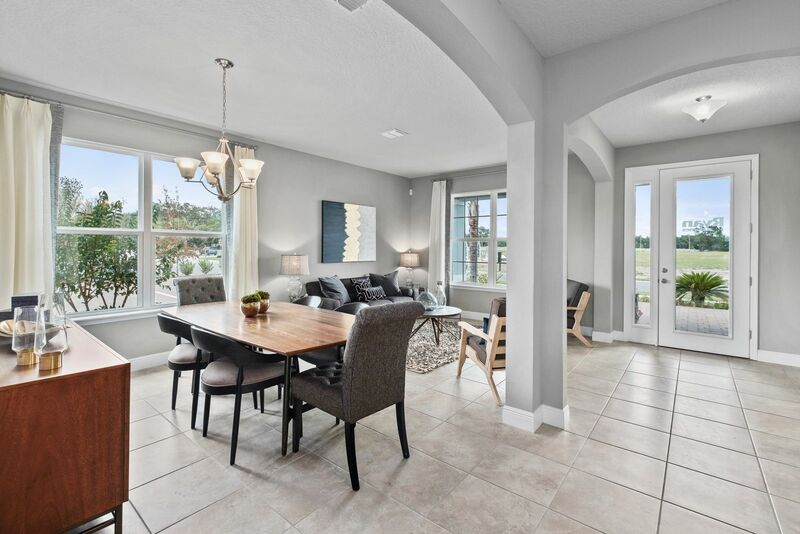 To your left is an open Living Room and Dining Room combination that gives you plenty of space for entertaining. 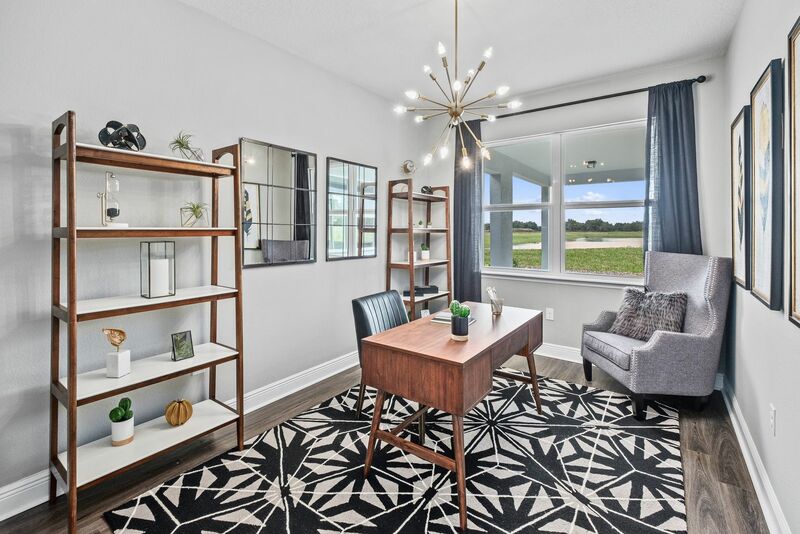 Need room to work from home? 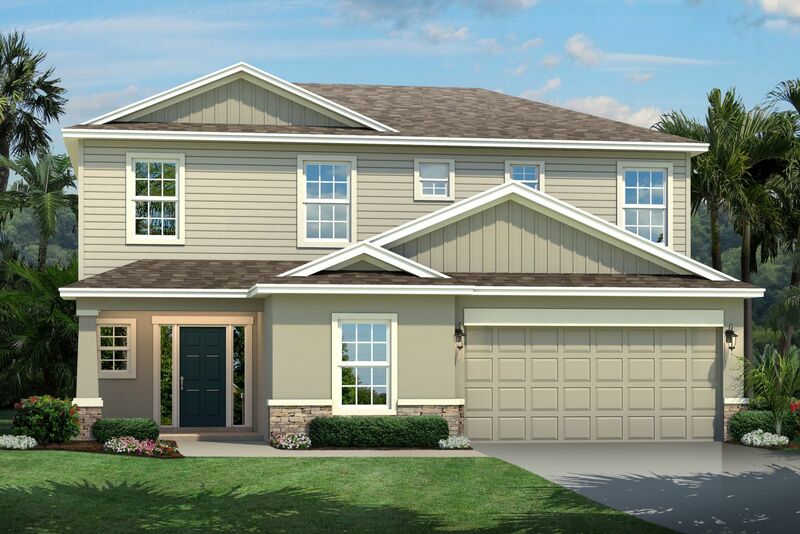 Just choose the optional Study with its elegant double doors. 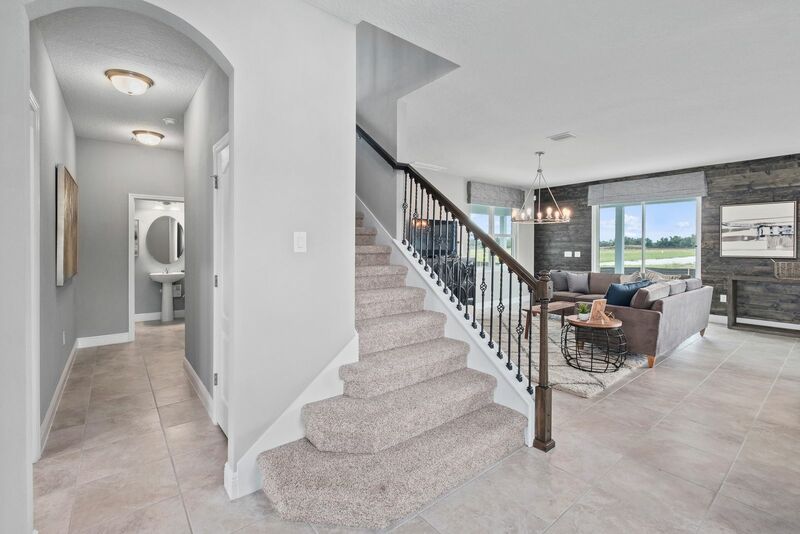 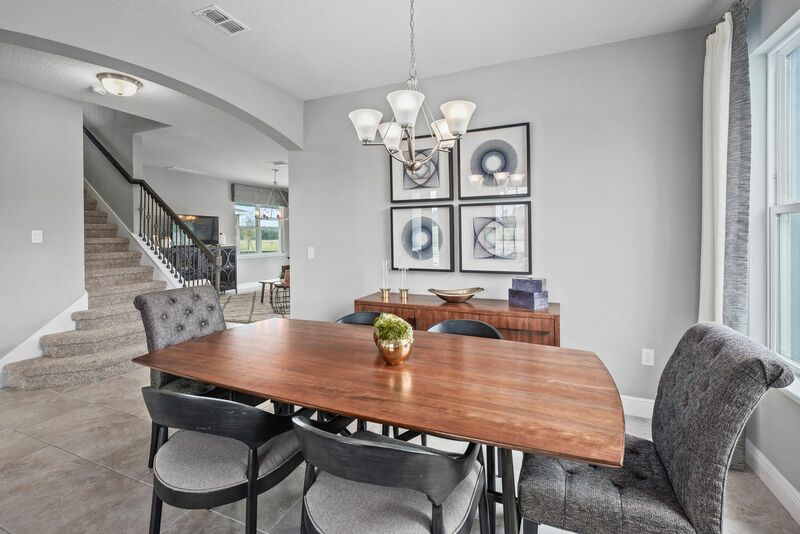 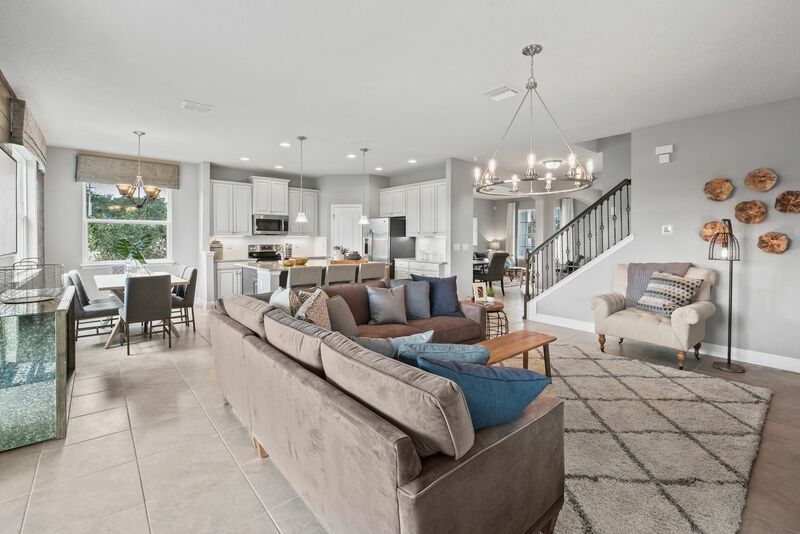 Past a waterfall staircase is the generous Family Room, open to the Kitchen and Dinette. 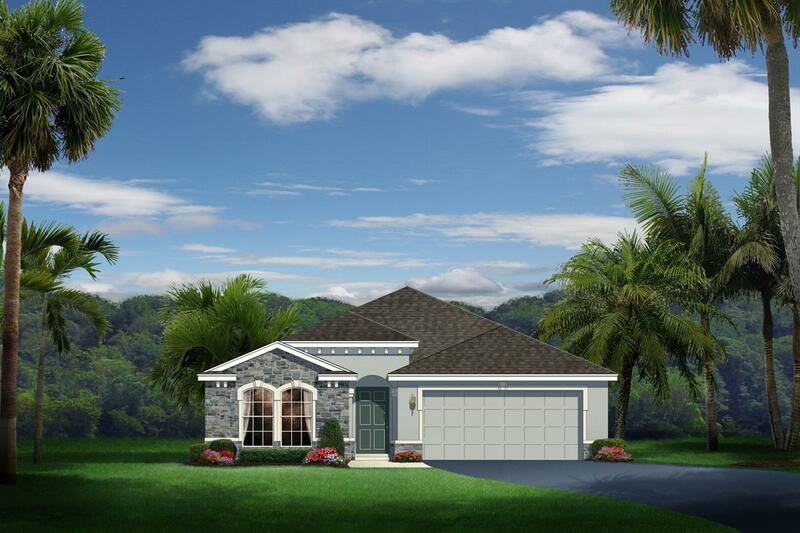 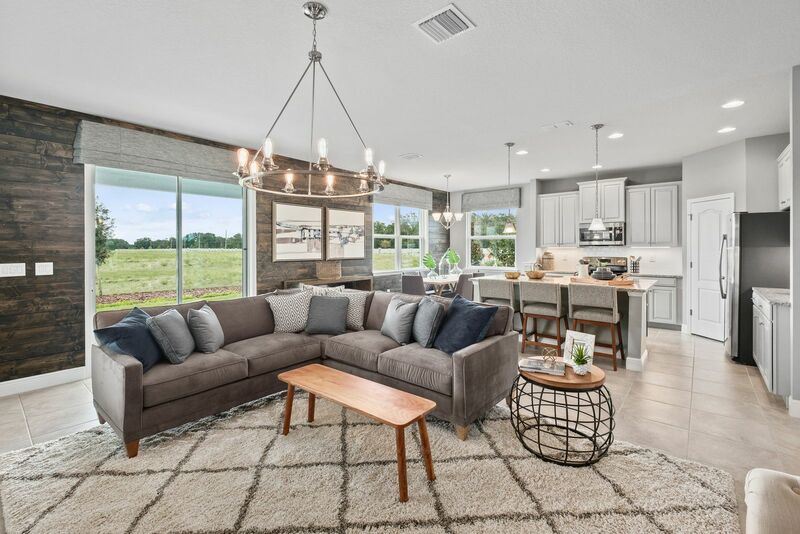 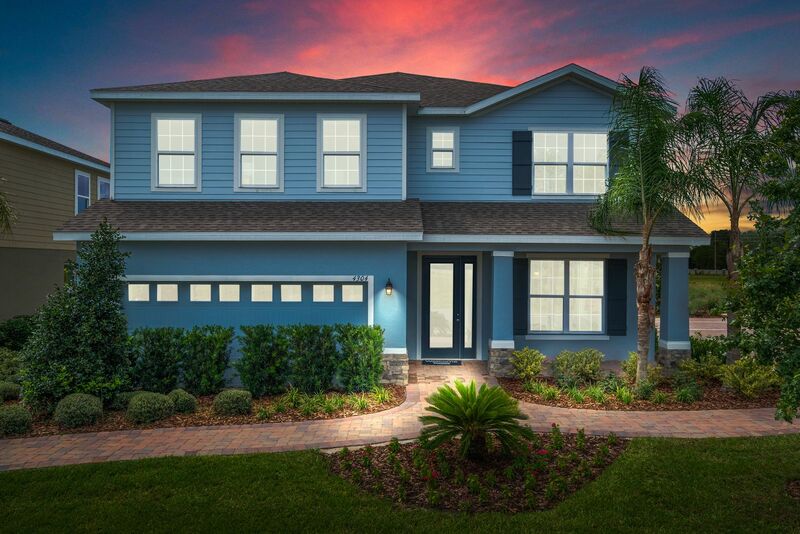 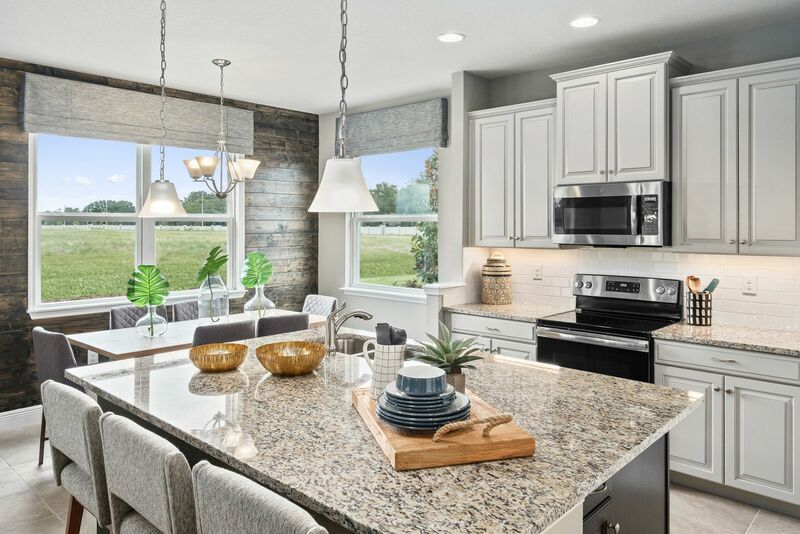 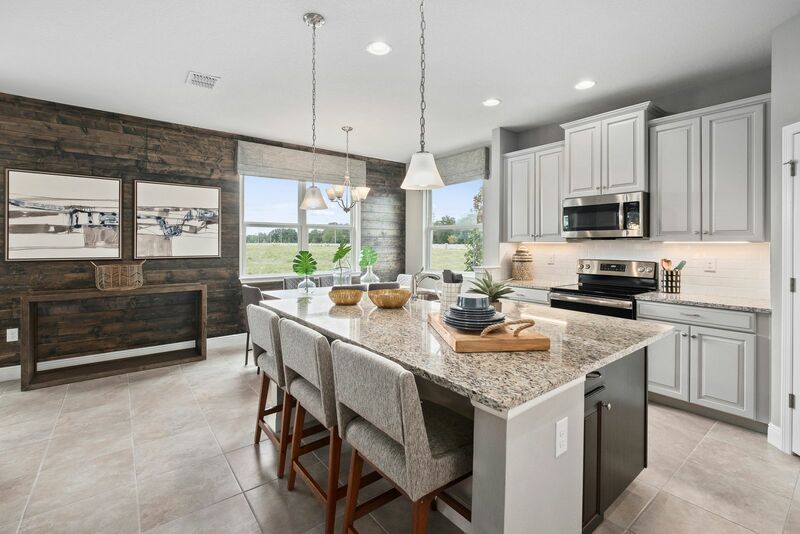 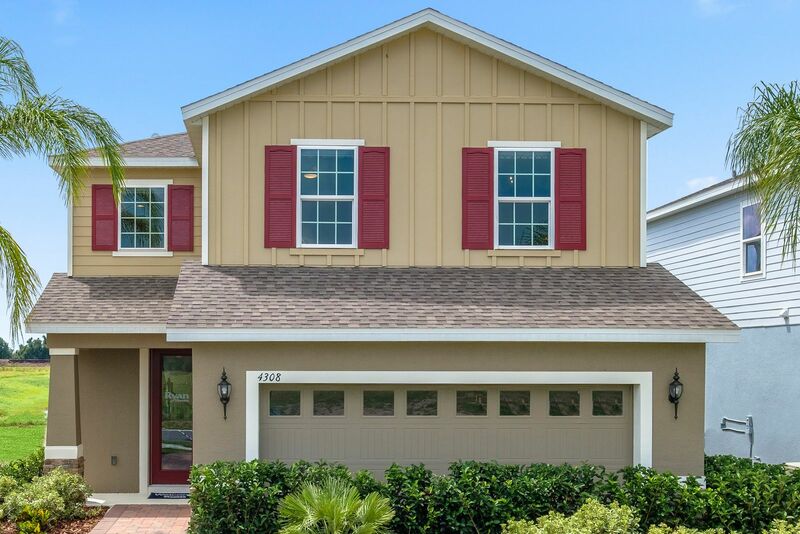 The Estero Bay features a three car tandem garage so there's always lots of room for parking or storage. 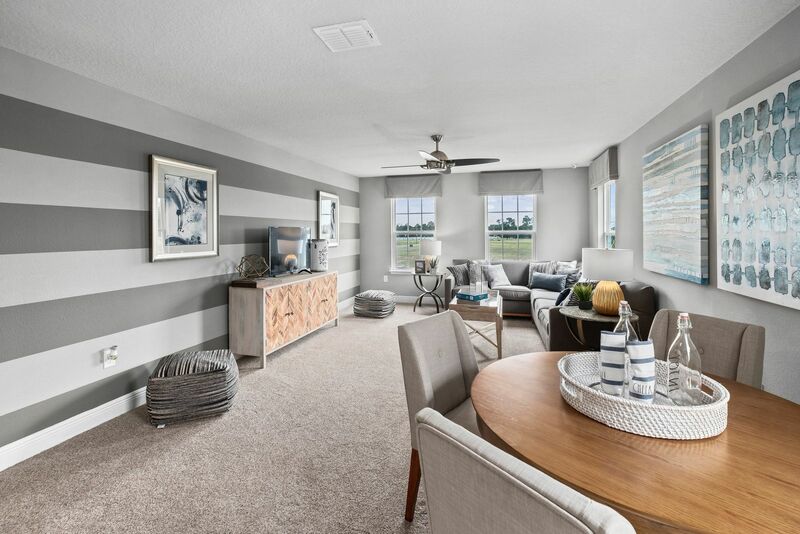 Or you can choose to make the tandem garage a Home Office, or even a first floor bedroom with a full bath and walk-in closet. 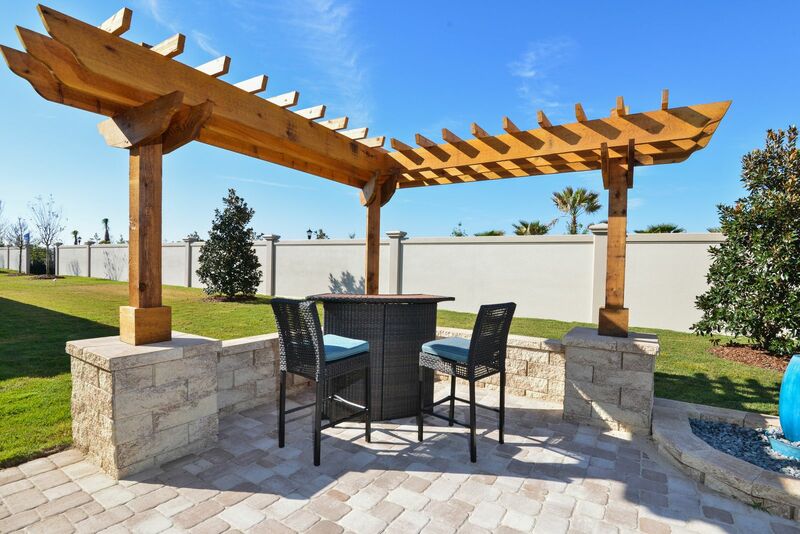 No matter which design you choose, you'll still have a covered Lanai to bring the outdoors in. 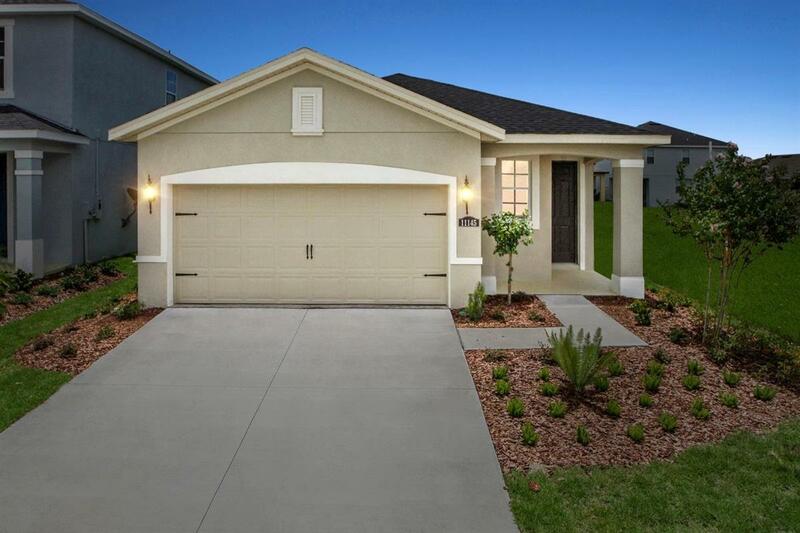 Upstairs are four bedrooms, two baths, and a light and airy loft. 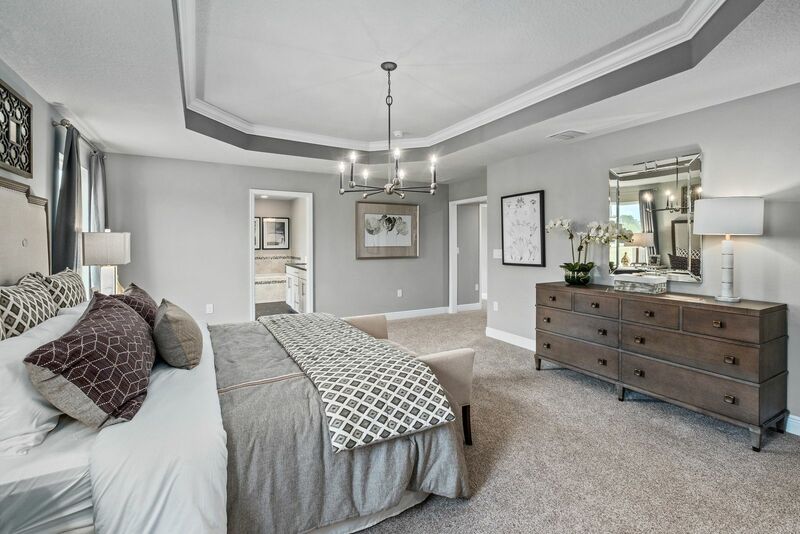 Choose to make the loft a fifth bedroom with a large closet and attached bath. 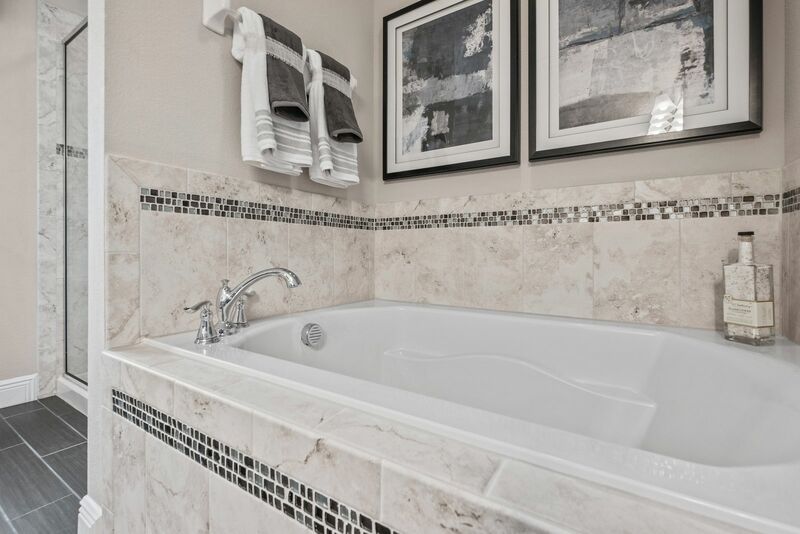 The Owner's Suite is truly remarkable with dual closets and a private bath with a two bowl vanity and separate soaking tub and shower. 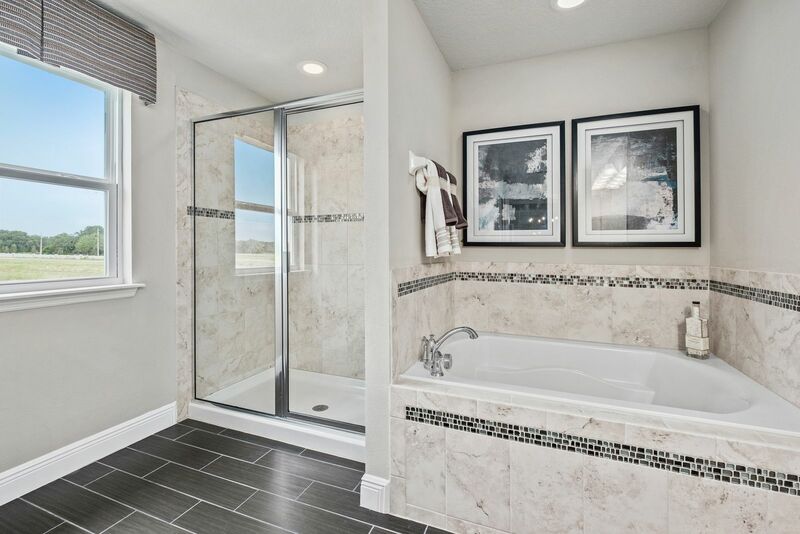 Upgrade to the huge corner shower for a spa-like retreat. 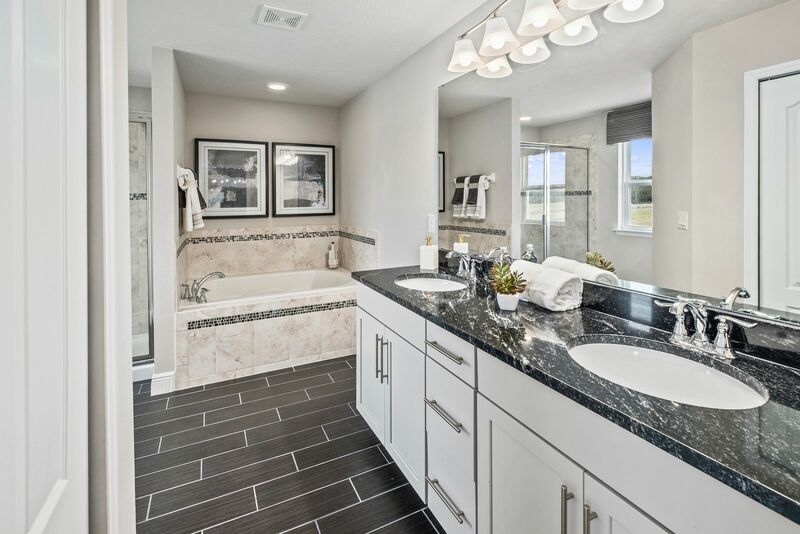 A convenient laundry room completes the upper level. 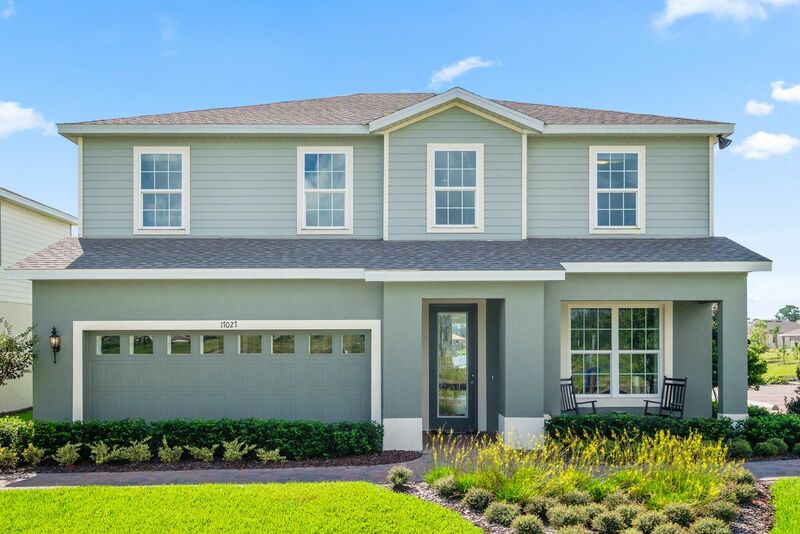 The Estero Bay is available in a variety... *Prices shown generally refer to the base house and do not include any optional features. 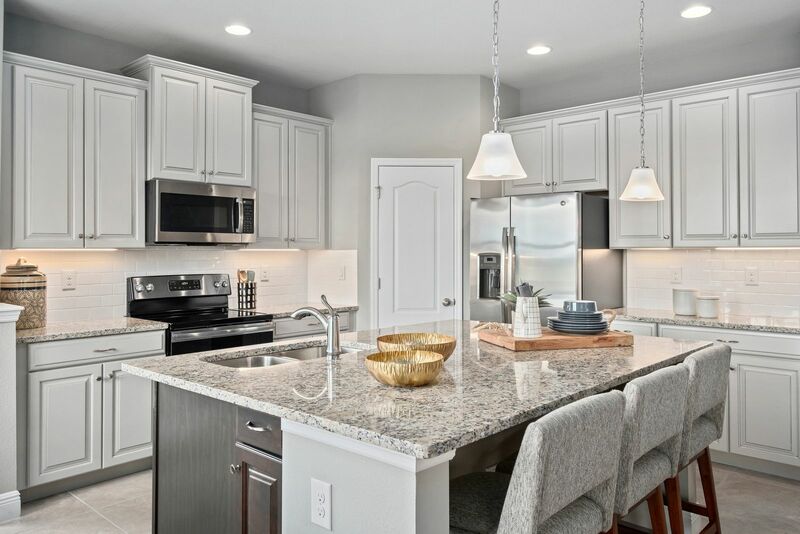 Photos and/or drawings of homes may show upgraded landscaping, elevations and optional features and may not represent the lowest-priced homes in the community.